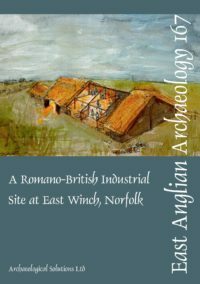 Excavations were conducted in the early 1970s at the site of an elaborate Roman farmstead at Newnham, Bedfordshire. Nearly all of the Roman remains have been destroyed by gravel quarrying that began in the 1950s. The excavations, under the direction of the late Angela Simco, recorded part of the core area of the farmstead and recovered significant assemblages of artefacts and animal bone. Post-excavation analysis and publication was not completed at the time and the site archive eventually passed to Bedford Museum in 2000. Funding from the Aggregates Levy Sustainability Fund, distributed by English Heritage, allowed the results of fieldwork to be published. The farmstead probably originated in the 1st century AD, just before the Roman conquest, and was initially fairly typical of contemporary rural settlements in the Great Ouse Valley. Settlement was characterised by ditched enclosures, some of which were used for livestock management, with a mixture of roundhouses and rectangular buildings of simple earthfast-post construction. By the end of the 2nd century, however, the site had acquired at least one relatively substantial rectangular building with stone foundations, suggesting a degree of ‘Romanisation’ not usually apparent on farmsteads in the Bedford region. In the 3rd century an even more elaborate stone-founded building was constructed, which comprised a range of rooms with under-floor heating. The stone footings had been heavily robbed, hampering detailed interpretation, but three of the hypocaust rooms in the later building are thought to have been a bath suite. Elements of the finds assemblage also suggest that the site had a higher status than that of other farmsteads in the region. Fine-ware pottery and continental imports are relatively well represented, while ceramic building materials and painted wall plaster indicate a degree of prosperity, albeit not on the scale of villa sites known elsewhere. The faunal assemblage has a species profile somewhere between that of contemporary local farmsteads and classic villa sites of the wider region. Other high-status indicators are absent, and the paucity of the coin assemblage suggests a largely unmonetised economy, at least prior to the 4th century AD. Because of this apparent ambiguity, the authors conclude that the Newnham farmstead should not be classed as a ‘villa’. Instead it is suggested that the later buildings housed the administrative and/or communal functions of a large organised farm, without the luxurious domestic element of a villa. The focus of farming operations was probably livestock (mainly cattle and sheep), which culminated at the end of the 4th century in commercial butchery to supply lamb or wool to other settlements. After the end of Roman administration in Britain the ruined farmstead seems to have been a site of early Anglo-Saxon settlement. This is evidenced by the presence of Anglo-Saxon pottery, although hardly any features can be dated to this period. The main datasets analysed for this report consist of structural records, pottery (excluding the amphorae, now missing), ceramic building material, a range of other artefacts (animal products, metalwork, glass, stone, plaster/mortar and slag), and animal bone. The small collection of human bone is fragmentary or from unphased contexts and is not analysed in detail. 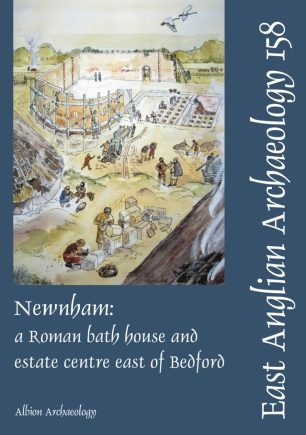 Because this is a rather unusual site for the locality, detailed specialist reports and full catalogues are included with this report on a CD-ROM, to aid comparison of the Newnham assemblages with those from other sites.